In the studio: Fall is here and my Summer break is definitely in the rear view mirror. 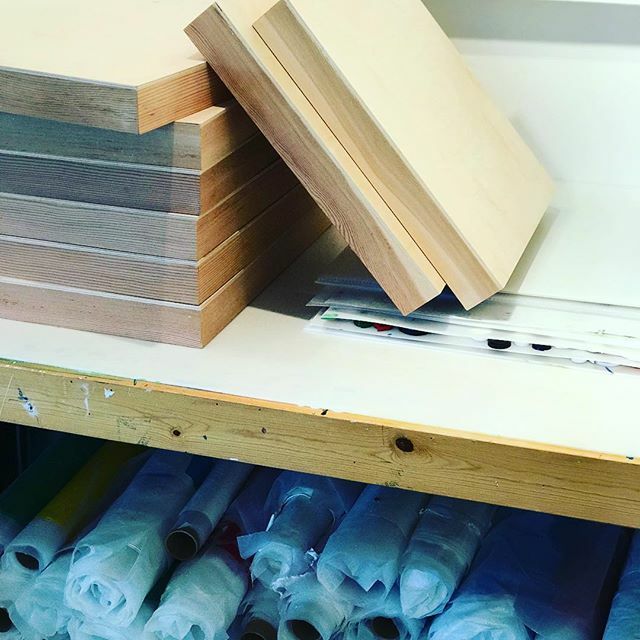 Panels and materials stacked and ready – stay tuned for some instagram posts soon. Working on multiple pieces for some upcoming shows. Happy Sunday y’all from Sausalito. . . .